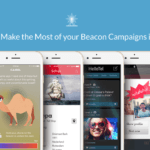 Beacons are already making great headway in 2016. Right from their successful deployment in Australia’s second oldest zoo to their use for tracking important assets at Nicklaus Children’s Hospital, we are witnessing a fast paced growth in the number of beacon deployments in various industry verticals. In fact, the number of beacon deployments is expected to grow at a compound annual growth rate (CAGR) of 287% to nearly 4.5 Million over the next three years, as estimated by BI Intelligence. In addition to that, proximity marketing is becoming mainstream since it is giving brands the opportunity to reach customers with tailored, hyper-local content. According to Research firm TechNavio, the global enterprise location-based service (LBS) and advertising market is projected to reach 7.6 Billion USD by 2020, at a compound annual growth rate of 30.22%. 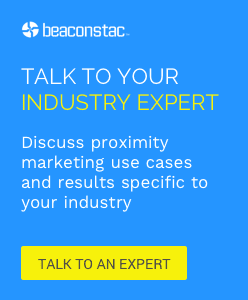 All the statistics surrounding the beacon market and real-life beacon use-cases look great on graphs, but how do businesses achieve this feat via beacons? There are several barriers that businesses need to overhaul to firstly proceed with their beacon projects and secondly manoeuvre them once they are executed. Optimization for mobile and creation of a mobile marketing strategy are two focus areas for all businesses this year as the upward trend of mobile marketing has finally reached a point where it cannot be ignored anymore. According to a Salesforce report, 68% businesses have integrated mobile marketing into their overall marketing strategy. And, having your own mobile app or partnering with a third party app is an integral part of mobile marketing. What should you do to successfully engage customers via your mobile app? The main objective of a mobile app is to contribute to the creation of an omni-channel experience for a customer with multiple points-of-sale. As consumer opinion indicates that iBeacon technology has a huge potential to revolutionise experience across industries, businesses are now integrating beacons with their own mobile app or a third party app to engage customers more efficiently and make the experience visibly seamless. This new change to the mobile app not only increases its adoption rate but also contributes to sales. For instance, Carrefour leveraged beacons in-store to send welcome messages, suggest products based on purchase history and display relevant coupons. In a period of seven months, the beacon campaign lead to 600% increase in the number of app users and 400% increase in in-app time. This further fuelled additional sales and streamlined customer shopping experiences in-store. The 400% increase in mobile application engagement seen by Carrefour proves the success of beacons’ integration with their mobile app and how it effectively brought profit to their business. In another example similar to the previous one, Levi’s Stadium in Santa Clara integrated 1,000 beacons with their mobile app to offer indoor positioning, services, and amenities such as ordering food and beverages from attendees’ seat, and so on. Within seven months of launching this beacon campaign, the stadium app had over 183,000 new user signups in their marketing/loyalty database with a 30% adoption rate, unlike the industry average which is under 5%. In addition to that, Levi’s Stadium had a 1.25 Million USD increase in revenue from in-app purchases. Panorama Berlin used a different approach. They added indoor navigation feature into their app which resulted in an increase of 70% in the customer engagement rate. In the light of the examples, the best way ahead for businesses after they have integrated beacons with their app is to ensure that the information provided by beacons is used for personalized ads and emails, customized digital experiences in-store, better store layouts and more. They can use various beacon app hacks to get their Beacon app right. For brick-and-mortar stores, it becomes essential to drive optimum in-store traffic in order to maintain sales and profit. So, businesses these days are looking to leverage various techniques to increase store footfalls. These metrics can be tracked using beacons. A footfall analysis of all such data points allows a business to make informed operational and strategic decisions that in turn drive better conversion to sales rates, optimise staff allocation, and improve merchandising and store displays. Beacons aid in motivating a customer to enter a store. One of the proximity market players claims to have driven 33 million store visits via beacons last year and produced around 800 Million USD to 1 Billion USD in sales for its retail and brand partners. Store owners can easily achieve this success metric by ensuring personalisation, retargeting strategies, and using a combination of technologies with beacons. Last year, Elle Magazine leveraged a combination of geofence and beacons, to run beacon campaigns for its 30th anniversary September issue. The magazine made its editors’ product picks available to users on ShopAdvisor, a personal shopping concierge app and RetailMeNot, a mobile coupon app. The program delivered 500,000 in-store visits and more than 12% content engagement rate for participating retailers, Barnes & Nobles, Guess, Levi’s, and Vince Camuto, across the country in two months’ time. Similarly, Coca-Cola used a different tactic for using beacons to boost sales. It leveraged iBeacon technology in CAPA cinemas in Norway, to precisely retarget smartphone-equipped consumers. Movie-goers received a beacon-enabled notification for a free Coke that could be redeemed at the counter if they had the app on their phone as they walked through the CAPA hallway. 24% people clicked on the offer to collect their free soda. The ability to track the physical world like a real-time digital world is highly empowering for businesses. So they are leveraging beacons as a tool for data collection—and ultimately using shopper behaviour as the real-world equivalent to web analytics. The aggregation of the collected consumer data consequently leads to improved sales and customer satisfaction. Last year, United Airlines began testing beacons at its Newark Airport terminal. They focussed on the use of beacons to collect passenger data from an operational point of view. So they combined indoor mapping in their “proof of concept” test. They mapped a particular terminal with 100 beacons. So, a traveler entering the terminus, upon opening the map on their phone, got a “blue dot experience”. He/she was informed about the location of the nearest restaurant and how far they are from their gate. Since the Airline could track its passengers, it could accordingly enhance customer service. JFK airport rolled too out beacons to improve the queuing experience for passengers. Passengers spend a lot of time either waiting to get through customs or waiting for baggage at the carousel. The airport used a beacon-based wait time estimation system which looks for Bluetooth or Wi-Fi-enabled devices in “discoverable” mode. When such a device passes more beacons, the system estimates how fast people are moving through the airport. The data is then processed to estimate and display a real-time guess of the wait in various lines across installed monitors. According to Forrester Research, 82% of customers make purchase decisions while in-store. Therefore, integrating technology such as beacons with your marketing strategy can be highly beneficial when it comes to customer engagement. Beacons provide essential metrics—number of engaged customers, dwell times per store and zone, mean/average visit duration—that help businesses gain better insights on customer engagement in-store and accordingly decide on what needs to be done to enhance it. In an approach to increase customer engagement, SapientNitro introduced passive beacons to demonstrate a novel in-store approach. These beacons allow retailers to offer a beacon experience to consumers even when they are not looking at their smartphones. The beacons tap into a consumer’s past behaviours, including his or her preferences and needs, and then they accordingly personalize content on a nearby in-store screen. In another instance, Barneys New York launched a new beacon network in their Chelsea store that could send location-based notifications to customers who have Barneys’ app installed on their phones. These notifications were unique in many ways as they were beacon-triggered recommendations for restaurants and other attractions in the Chelsea neighbourhood to show location-based relevancy for shoppers looking for a quick bite to eat. Undoubtedly, focusing on the various metrics mentioned in this article can give businesses an edge and help them in reviewing their beacon campaign strategy while deciding the success metrics suitable for them. Are there other critical success metrics that you think we missed out? Let us know in the comments below.